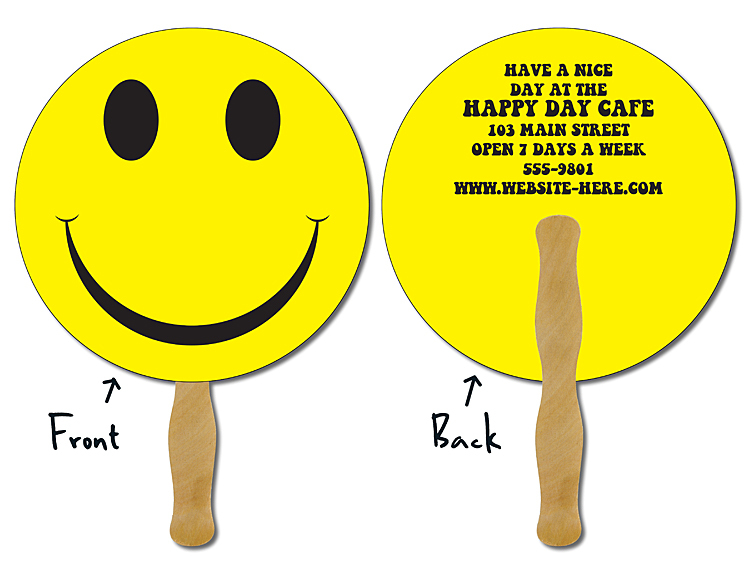 Round Circle Shape Hand Fans offer a great opportunity to get your information in front of a captive audience. Printed in full-color on both sides and laminated for maximum durability. Distribute your message to schools, churches, sporting events, parades or fundraisers. 8.5 in. x 8.5 in. Please Note: 8 inch wooden stick affixed to backside of laminated hand fan. Price includes printing in full-color (four color process) on both sides. *Metallic or fluorescent colors cannot be printed in full-color.